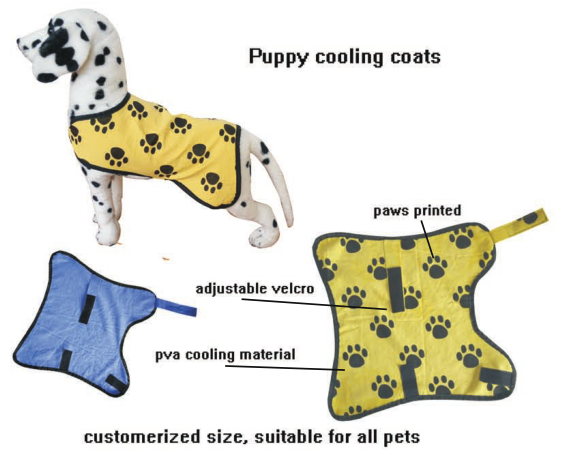 PVA PET COOLING TOWEL that is made of PVA Cooling materail, same as our cooling towel. 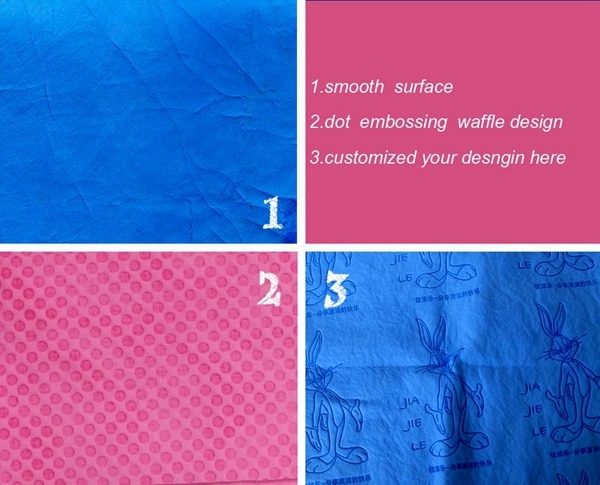 this pva material that is super absorbent, fast drying and instant cooling features, it can be used as cleaning and cooling towel for your pets. 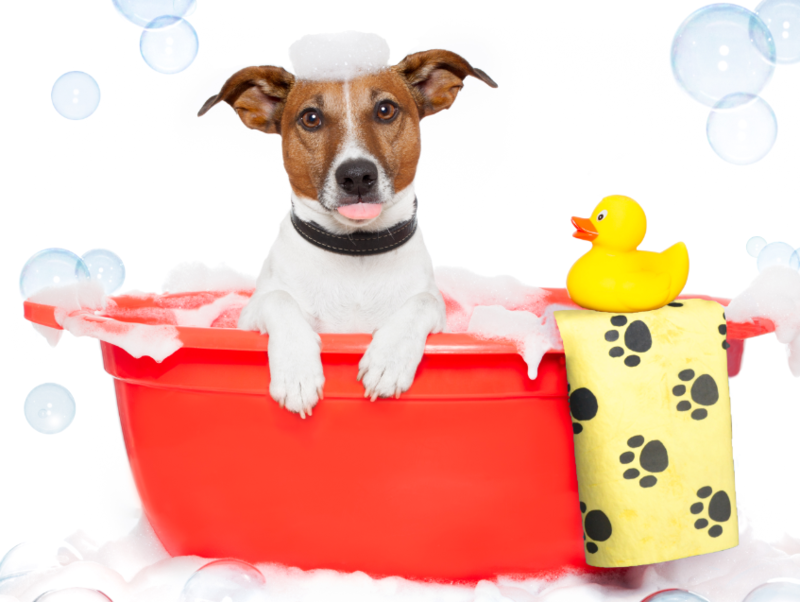 Simply soak in the water, it absorber water fast and put it on your pets, keeps your pet cooling for hours. Also, after bathing, you can use this towel to dry your pets, it absorber water fast and keep your pets cleaning and drying. 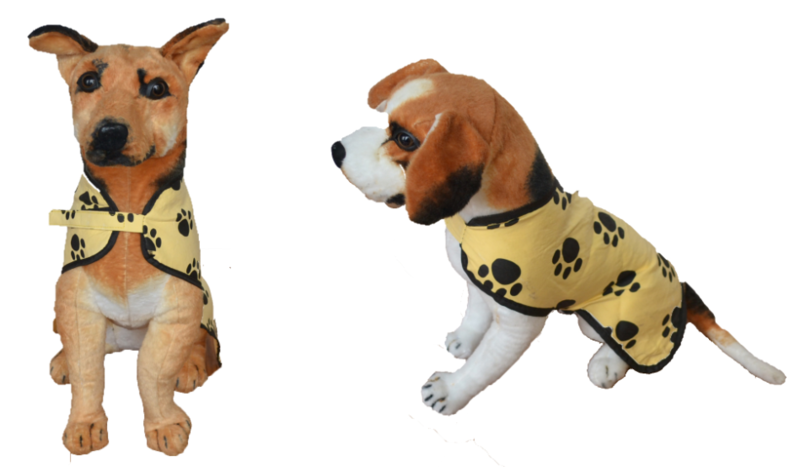 Now we can offer two style cooling towel for your pets, one is the cooling towel, just towel size like 66*43 or 80*34, 43*32cm, use it to dry or cooling your pets. 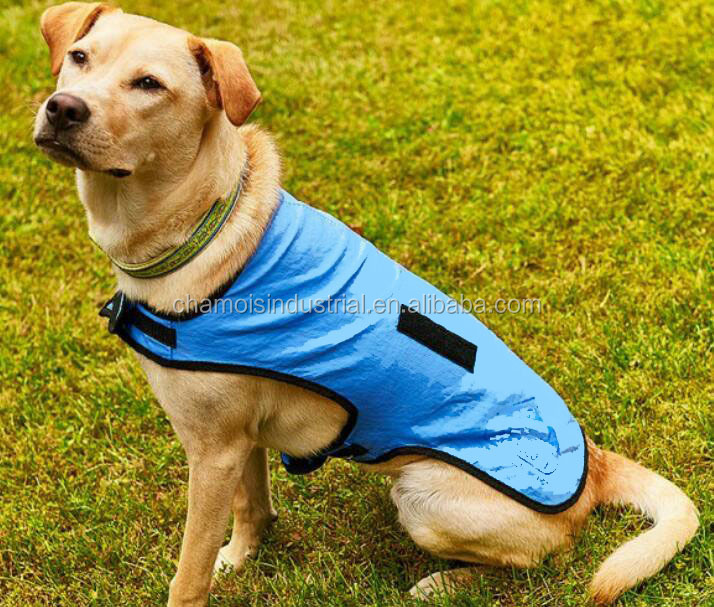 the other is pet cooling vest, your pets can wear it as a coat, different size for different pets. 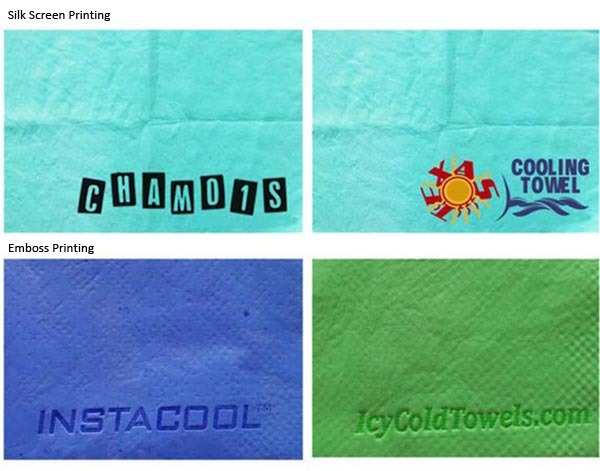 we can accept customerized logo embossed or silk print on the towel. just let me know more about your design. Absorption rates are significantly higher with the PVA Chamois Pet Towel compared to the average traditional towel. When you have to bathe your furry friend, the last thing you want is to have him endure constantly rubbing and scrubbing, all in the hope of helping avoid the obligatory shake near your fine furniture. 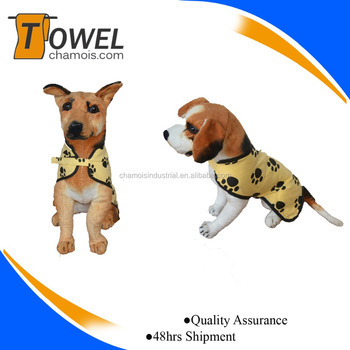 However, few towels actually dry pets and none as well as the Chamois Pet Care Towel . Trying to find ways to cool down your pet during the summer can be challenging. When the Pet are under sun or just playing in the backyard, The Chamois Pet Care Towel helps to keep your pets or dogs cool, up to 20-degrees cooler than other traditional towels. The longer that it takes to dry hair, the more damage can be done to the pet or dogs. 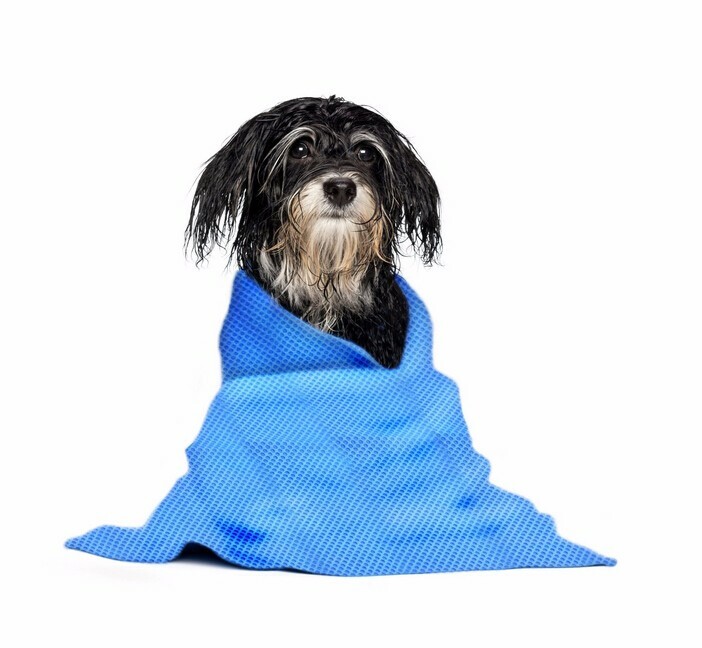 The PVA Chamois Pet Towel is fast and efficient so less potential damage will be done to Pet’s hair.